Majolica created in 2014 by David Kerkhoff. If you’ve ever visited Spain or Portugal, you would have seen some beautiful Majolica (glazed tile) murals – often signage for long-forgotten bakeries, butchers and clothing shops from the interbellum. Majolica font was named in honor of the artists who created these gorgeous glazed displays. 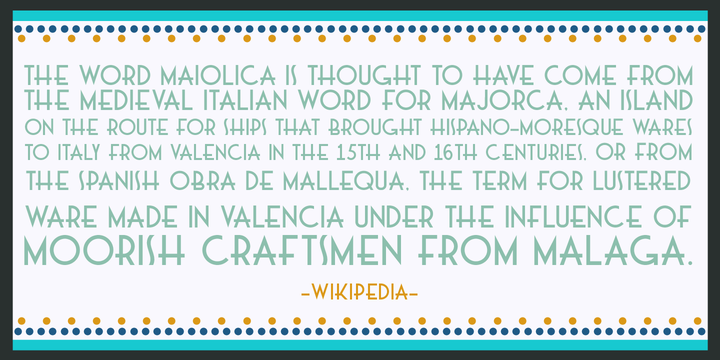 Majolica font is an all caps, sans serif typeface with a ‘streamlined’ look. It comes with all diacritics. 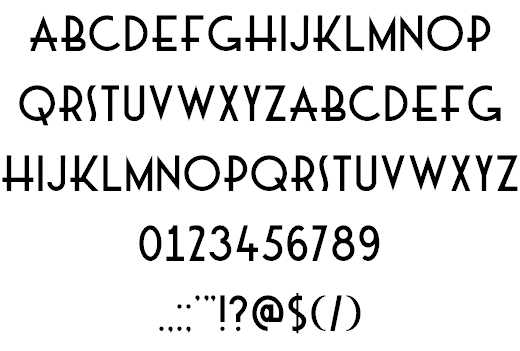 Hanoded is a type foundry based in The Netherlands and run by David Kerkhoff. After finishing his journalism studies, David traveled extensively and ended up in Israel where he stayed for some years. David had a lot of jobs – zookeeper, goldsmith, artist, and cook (to name a few), but settled on working as a tour guide and photographer. David specializes in hand-printed typefaces and uses brushes, pens, ink and paint to create his – sometimes scary looking – fonts.